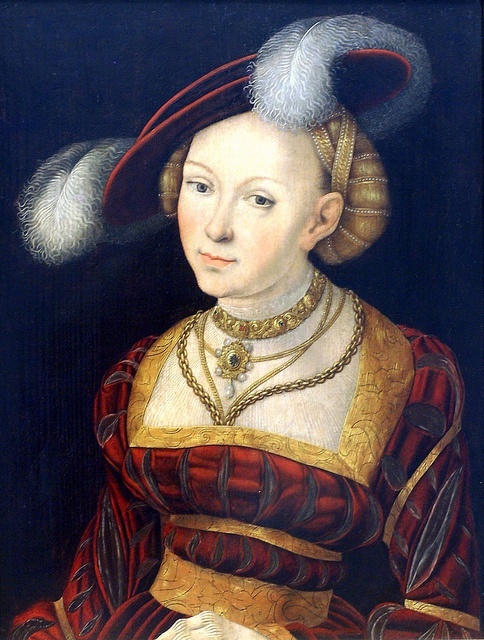 How do I decorate my 16th century hat? 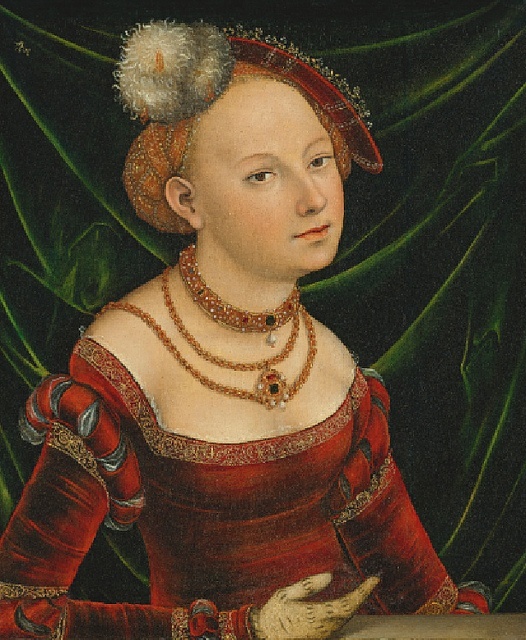 The ostrich feather, big voluminous plumes, in a hat is what catch your eye when you see the 16th century Germany dresses, even though many hats during that period didn’t have any feathers, or maybe only one single one. The feather comes from the ostrich, who derives from Africa, but now has spread all over the world via farms due to their adaptations to the climate. 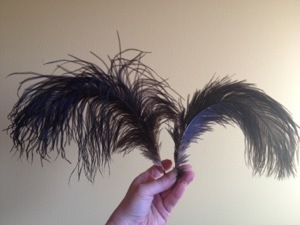 The feathers of adult males are mostly black, with white feathers on the tip of the wings and a white tail. Females and young males are greyish-brown and white. The ostrich gives you a couple of different kind of feathers, depending on where on the body it was located, long, short, stiff, soft etc. 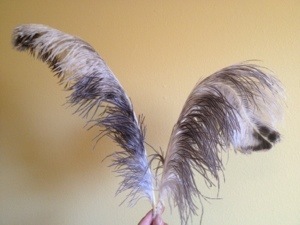 The wing feathers provides the big fluffy and soft plumes. The plumes has a very nice and soft tip that ‘bobble’ when you wear it, in contrary to feathers which have a stiff tip …but plumes are also more expensive then the regular feathers, so choose what you want to spend. 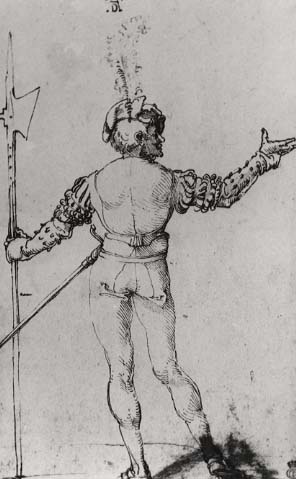 How many feathers should I use? 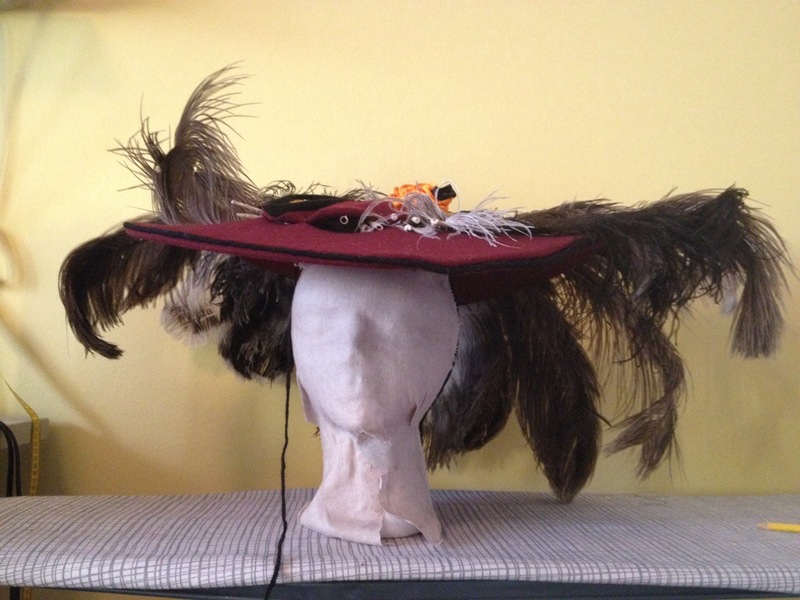 The feathers are important for the impression the hat is going to make, a hat without feathers can still be a beautiful piece of handicraft, but adding feathers always gets the ooooh and aaaah. 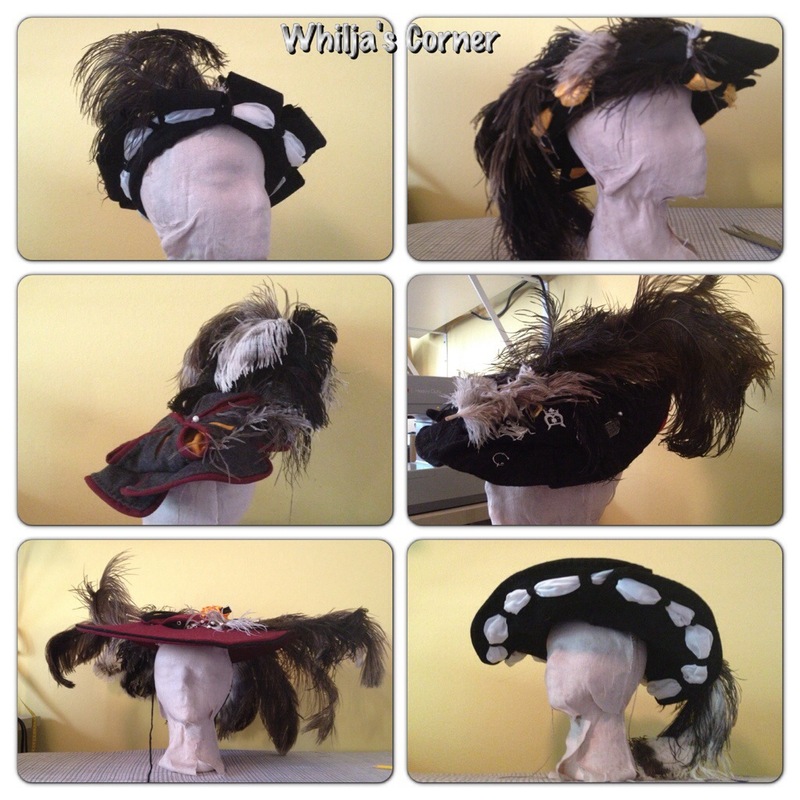 Feathers also provides stiffening to the brim …as well as extra sail for the wind. 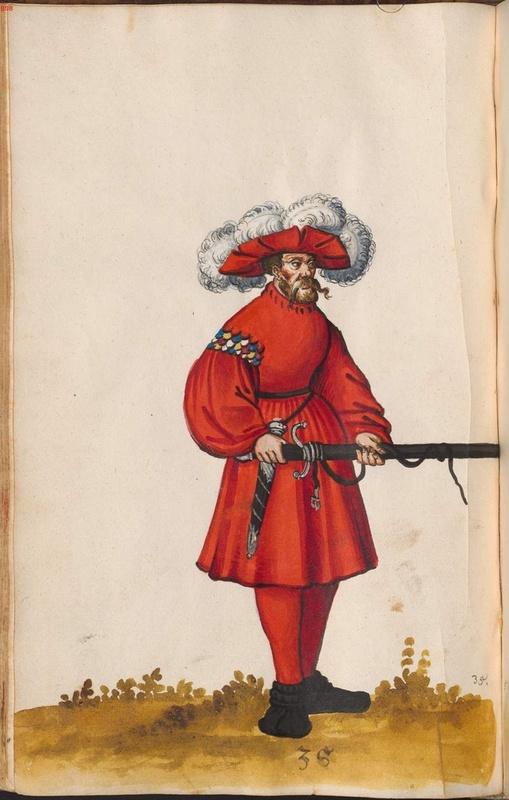 How many feathers depends on how you planning to show them and depending on the purpose of your hat; is it going to become an art and science piece competing in period accuracy? 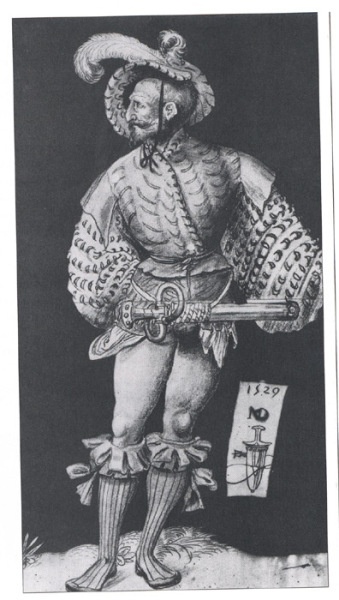 Then you should choose feathers appropriate to your outfit, the feathers was expensive back in the days, and even today the feathers cost a lot (Plumes/wing feathers are more expensive then ordinary feathers, the one I use cost around $6-7 (45-50 SEK) per plume, and can be found at Pimp Your Garb or Kapitelhusgarden). 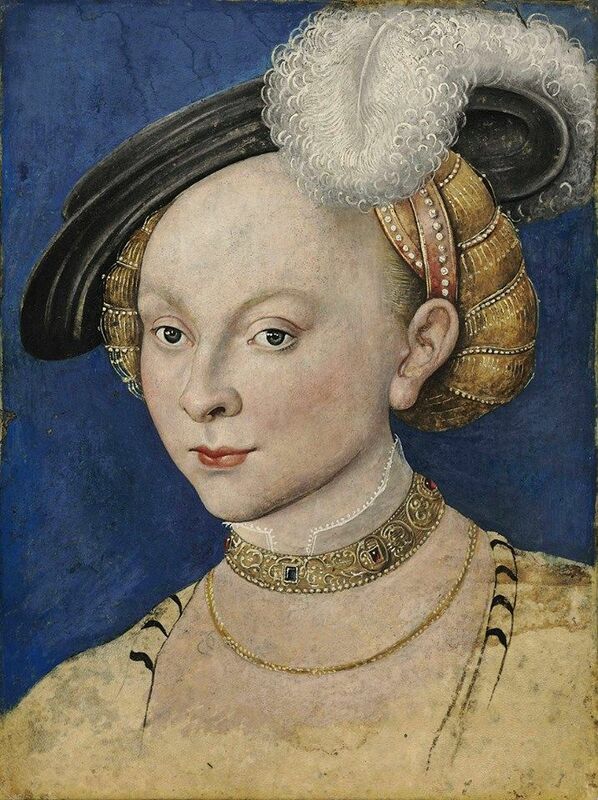 My small hats has a tendency to have around 7 feathers, that gives me the look I want too have (I loose some, I add some…). 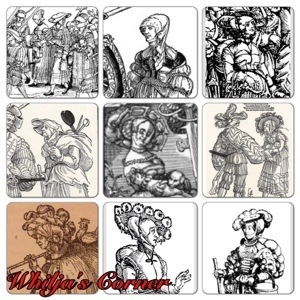 To give you an indication of how feathers was used, study woodcuts and paintings of different classes and sexes and areas of what we usually define as the 16th century of Germany. 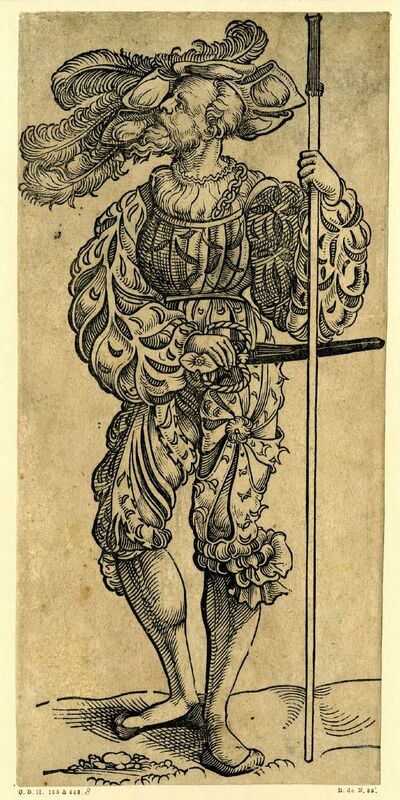 There is woodcuts with Landsknechts, paintings with Saxon princess, religious paintings and portrait, you can study, depending what area you are interested in. 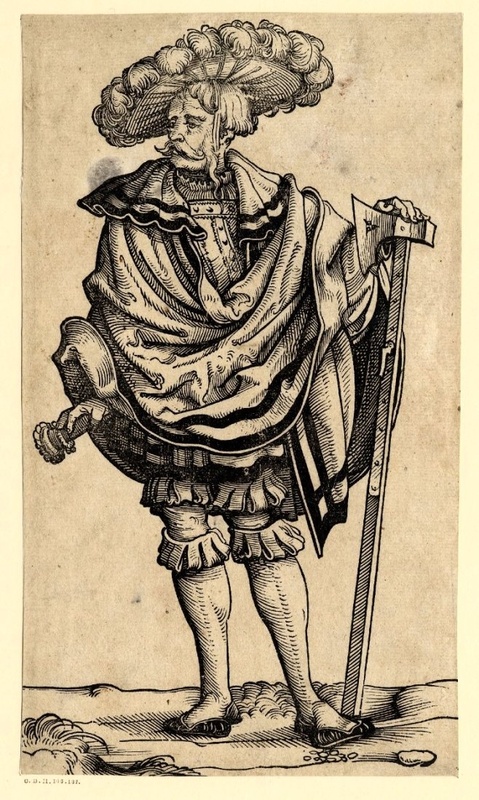 Strictly speaking, the amount of feathers depends on your status: an officer has probably more feathers then a simple drummer, a Saxon princess has probably higher quality feathers then a trossfrau etc. 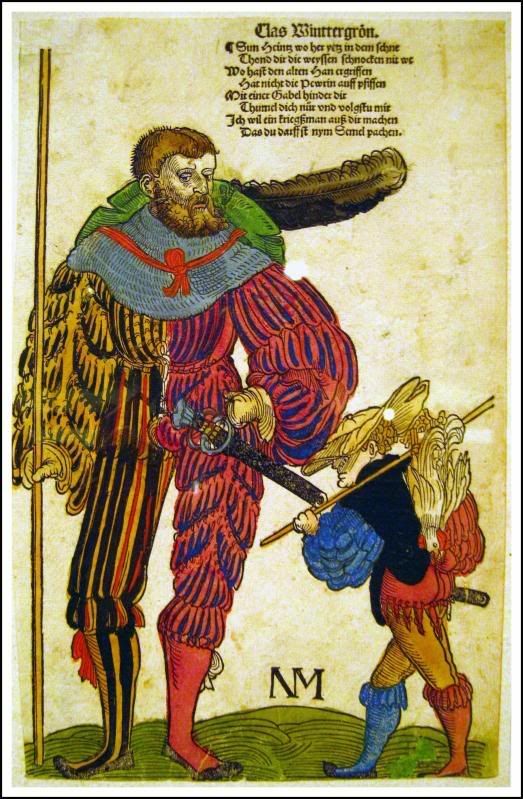 An officers female follower has probably more feathers then a follower to a foot soldier, a middle class women has probably fewer then a general etc. 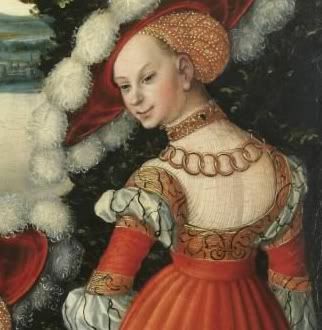 There is probably even a different depending where in Germany you live, so there is all kind of different variable that needs to be taken in consideration when making a hat proper to your dress …or just choose to add the amount of feathers you wish to have, and be satisfied with your ooooh’s and the aaaah’s as you walk by. 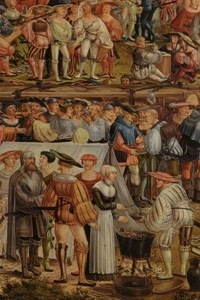 Most of the woodcuts and paintings are portraits, often made to make the motif look their best, or sometimes a generalization of how a group is presented. 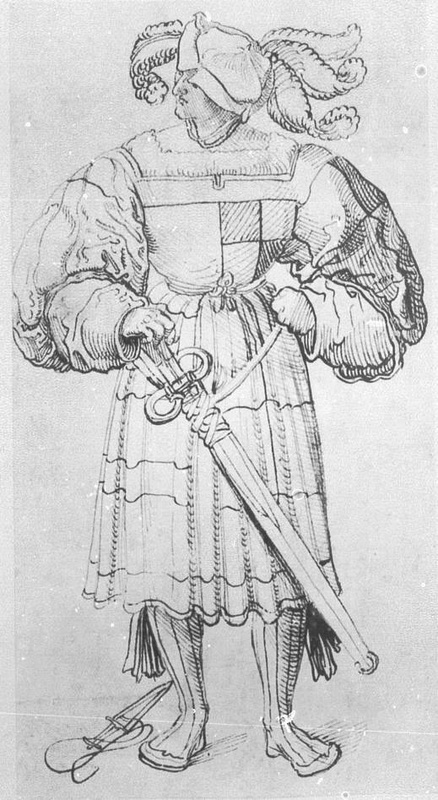 The feather was probably not part of the everyday dress, especially for the lower classes, but more often used when posing, processing etc, and they could also been added as a symbol of power, purity or flamboyant. 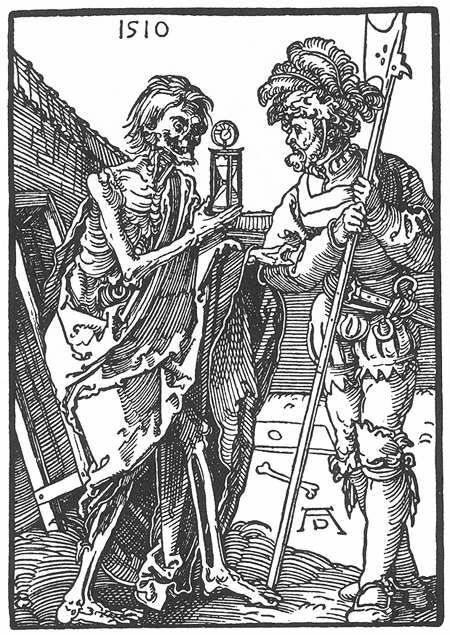 I’ll talk more about symbolism in renaissance paintings and woodcuts in the next blog. 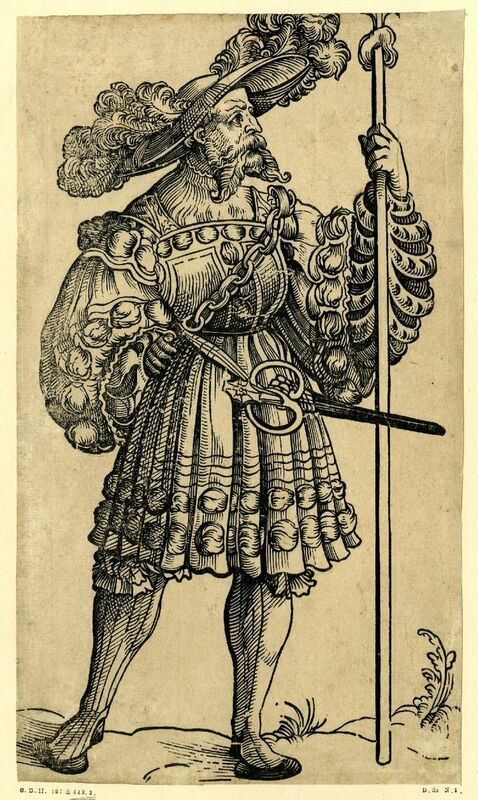 Feathers seem to be more common among the nobles (especially women …and men dressed in armour)…and landsknechts. 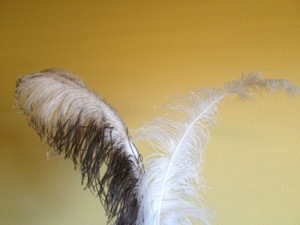 The middle class seem to have a more humble approach and maybe only wear one feather, if they have any at all. 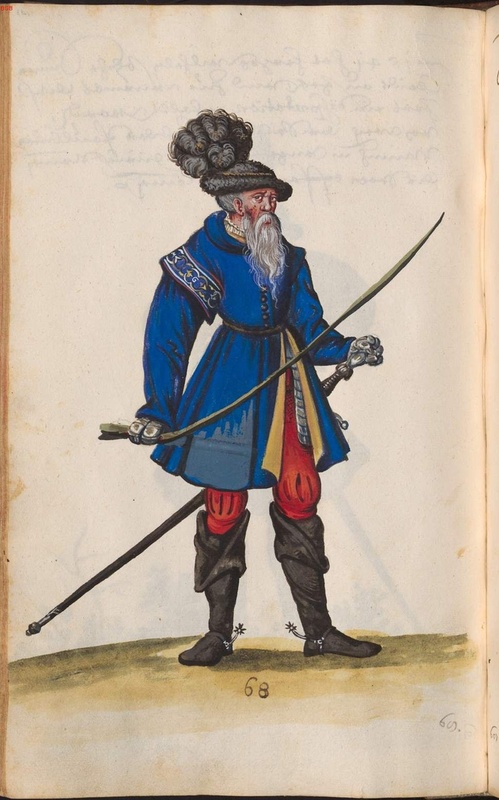 The trossfraus, the camp followers of the landsknechts (which I’m specifically interested in), seem to wear feathers more often when posing; alone or in the company of a landsknecht, rather then during a march, cooking, or any other everyday chores (which makes sense of course). 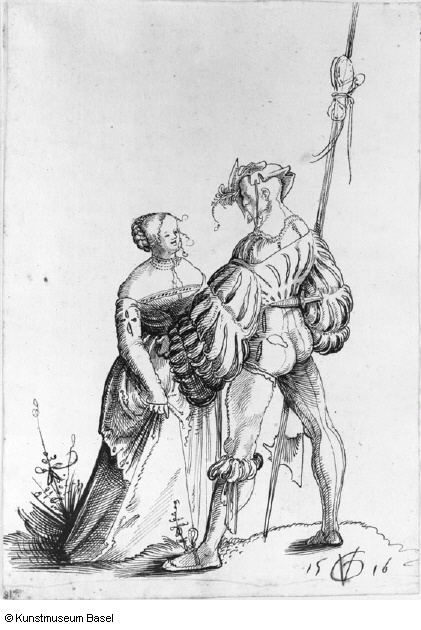 One exception is the picture “La Lansquenette” (pic no 7) which shows a fully dressed trossfrau loaded with things and obviously on the march. 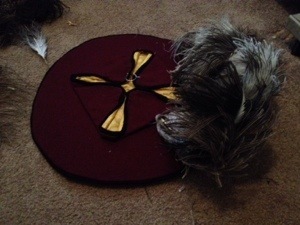 How do I attach the feathers? Before I attach them, I always curl them to give them that perky look, there is several ways to curl a feather, but I’m usually just start at the top of the feather, grabbing it carefully between my thumb and fingers and pull it towards the tip …working my way down the stim until I have reached the curl I want. 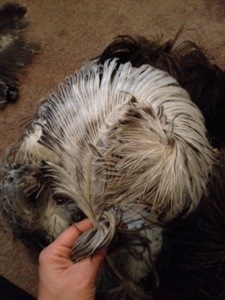 Some feathers might have a thick vane, so you need to soften it: boil a pan of water and hold the feather over the steam to soften the stim before curling. 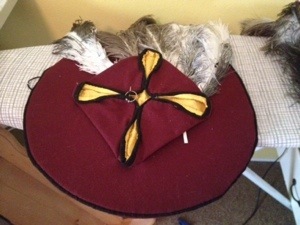 Don’t rush this part of attaching feathers, it takes me around an 30-40 min to attach feathers to a new hat. 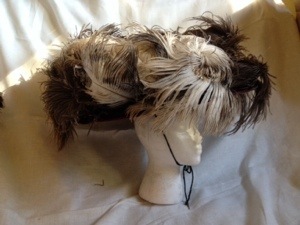 Do it in steps: curled the feather, attach it, take a look, attach another two, take a look of the result etc. After you’re finished with the placement, then use the pins to be secure them in place. 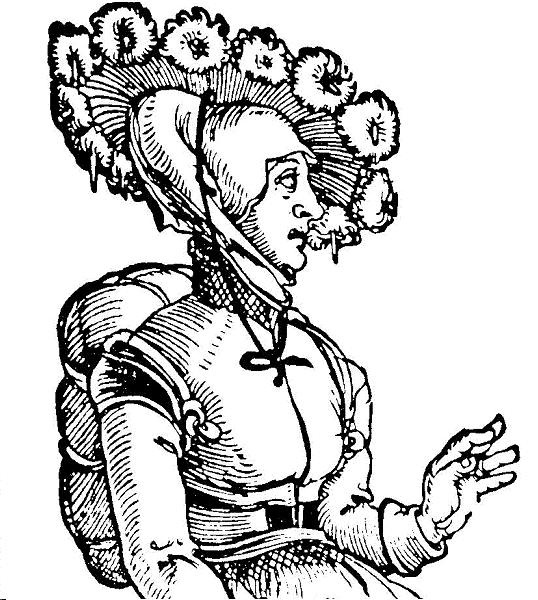 Same hat, with spiral curled feathers, where the feathers are pointing upwards instead of resting on the brim. 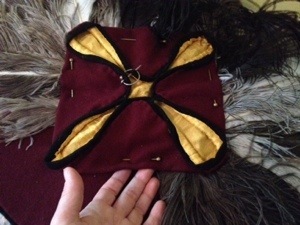 Don’t forget to attach the pins to secure the feathers from not falling off in the wind. 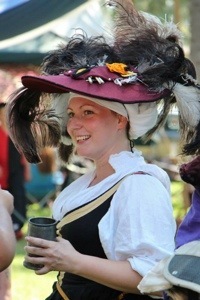 1) My small hat: where my feathers points straight up (the surrounding people are very happy about that) and I use on top of my wulsthaube. 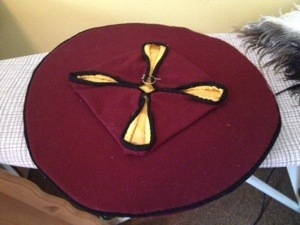 3) The Saxon hat that gives great protection from the Californian sun (and Swedish rain): The last hat should be used to a Saxon dress, but apparently I can’t find any picture of myself in one… I apologies for the slightly anachronistic way I wear it. 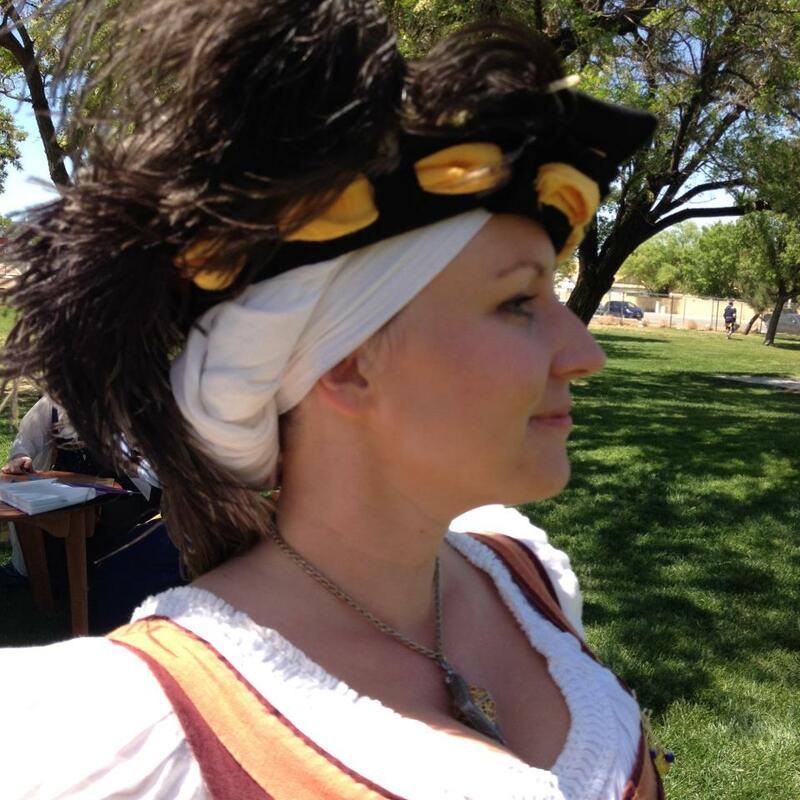 But it was a GREAT sun protection! 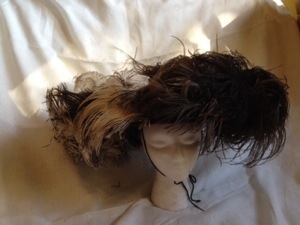 …note that I basically just added some feathers on one side on the last one. How do I transport and storage the hat? My feathers has been through rain and has always regain their fluffiness after they dried, but if the feathers starts to look a bit sad, then remove them from the hat and use a mild shampoo and rinse them in luke warm water, dry them with the tip down, or if you are in a hurry, blow dry them on cool settings, smooth the vane with your fingers during the time your air blow them and redo the curls if necessary to make them fluffy again. Heat, sun, dust, soap etc can damage the feathers in the same way as your skin and hair, becoming dry and fragile. 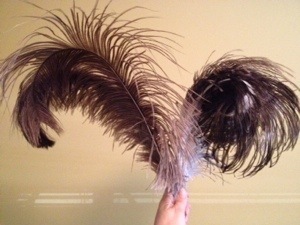 My feathers seem to have about 2-3 lifespan before they become dry and brakes when I curl them. (It doesn’t stop me from using them as filling between other more fresher feathers) The feathers can be attacked by insects and mites so storage your feather (and hat if they are still attached) the same way you storage your wool dresses, cedar has a natural repellent to insects, and you can buy cedar balls to put into your hat box, the box will keep the feathers away from direct sun light when your are not using it. Avoid storage the feathers in plastic bags, since that will prevent them from breathing. 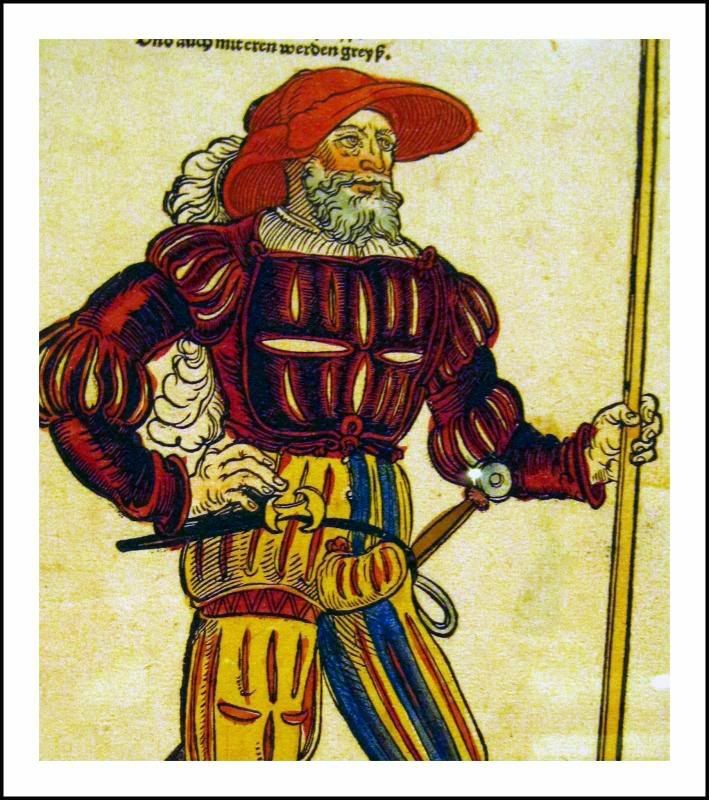 This entry was posted in Hat, Landsknecht, Trossfrau and tagged feathers, hat, Landsknecht, Plumes, schlappe, Tellerbarret, Trossfrau.